One of the essential words in any vocabulary are the months of the year. Together with the days of the week, numbers and the colors make up the building blocks of learning any new language. Learning the months in Portuguese represent the first steps towards achieving the beginner level. Repeat and practice the translations from English until you assimilate them by heart. These are six months. São seis meses. If you are an absolute beginner in learning Portuguese, we recommend you bookmark or write down the Portuguese months of the year listed on this page. 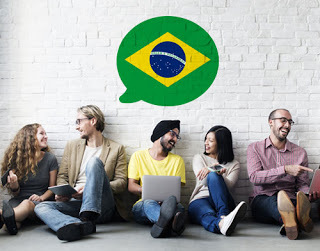 If you want to improve your Portuguese vocabulary farther, start learning Portuguese using a professional language learning platform available both as a web-app but also that can be installed on your mobile device. If you are traveling to a Arabic speaking country, some of the most basic Arabic phrases you will probably need to learn and pronounce first will be hotel related conversations. We've gathered and listed 30 useful Arabic sentences any traveler will find useful whether on vacation or a business trip. Do you have a vacant room? أعندكم غرفة خالية؟‬ / 'aeindakum ghurfa kahliya? I have booked a room. ‫لقد حجزت عندكم غرفة.‬ / Laqad hajazt aeindakum ghurfa. I need a single room. ‫أحتاج لغرفة سرير واحد.‬ / 'ahtaj lighurfa sarir wahid. I need a double room. ‫أحتاج لغرفة سريرين.‬ / 'ahtaj lighurfa sarirayn. What does the room cost per night? ‫كم سعر الغرفة لليلة؟‬ / Kam siear alghurfa lillayla? Can I see the room? ‫أيمكن أن أرى الغرفة؟‬ / 'ayumkin 'an 'ara alghurfa? Fine, I’ll take the room. ‫جيد، أنا آخذ الغرفة.‬ / Jayid, ana a'akhoz alghurfa. Here are the keys. هنا المفاتيح.‬ / Huna almafatih. Here is my luggage. ‫هنا أمتعتي.‬ / Huna 'amtieaty. What time do you serve breakfast? ‫متى يكون الإفطار؟‬ / Mata yakun al'iftar? What time do you serve lunch? ‫متى يكون الغداء؟‬ / Mata yakun alghada'? What time do you serve dinner? ‫متى يكون العشاء؟‬ / Mata yakun alaesha'? The shower isn’t working. ‫الدُش لا يعمل.‬ / Aldosh la yaemal. There is no warm water. ‫لا يوجد ماء ساخن.‬ / La yujad ma' sakhin. Can you get it repaired? ‫أيمكنكم أن تكلفوا أحداً يصلحه؟‬ / 'ayumkinukum 'an tukalifou 'ahadan yusalihuha? There is no telephone in the room. ‫لا يوجد تلفون في الغرفة.‬ / La yujad telephone fi alghurfa. There is no TV in the room. ‫/ لا يوجد تلفزيون في الغرفة.‬ La yujad telefizion fi alghurfa. The room has no balcony. لا يوجد شرفة للغرفة.‬ / La yujad shurfa lilghurfa. The room is too noisy. ‫الغرفة صاخبة.‬ / Alghurfa sakhiba. The room is too small. ‫الغرفة صغيرة جداً.‬ / Alghurfa saghira jidan. The room is too dark. ‫الغرفة معتمة جداً.‬ / Alghurfa moeatima jidan. The heater isn’t working. ‫التدفئة لا تعمل.‬ / Altadfe'ah la taemal. The air-conditioning isn’t working. المكيف لا يعمل.‬ / Almukayef la yaemal. The TV isn’t working. ‫التلفزيون متعطل.‬ / Altelefizion mutaeatel. I don’t like that. ‫هذا لا يعجبني.‬ / Haza la yoeajibuny. That’s too expensive. ‫السعر غالي جداً.‬ / Alsiear ghaly jidan. Do you have anything cheaper? ‫أعندكم ما هو أرخص؟‬ / 'aeindakum ma hwa arkhas? Is there a youth hostel nearby? ‫هل يوجد بيت شباب بالقرب من هنا؟‬ / Hal yujad bayt shabab bilqurb min huna? Is there a bed and breakfast nearby? هل يوجد بنسيون بالقرب من هنا؟‬ / Hal yujad bansyon bilqurb min huna? Is there a restaurant nearby? ‫هل يوجد مطعم بالقرب من هنا؟‬ / Hal yujad mataeam bilqurb min huna? If you are an absolute beginner in learning Arabic, we recommend you bookmark or write down the phrases listed on this page. It may come in as highly useful once you check at your hotel. Prepare for your vacation now and avoid embarrassing situations at the hotel! One of the essential words in any vocabulary are the months of the year. Together with the days of the week, numbers and the colors make up the building blocks of learning any new language. Learning the months in Russian represent the first steps towards achieving the beginner level. Repeat and practice the translations from English until you assimilate them by heart. These are six months. Это шесть месяцев. / Eto shest mesyatsev. If you are an absolute beginner in learning Russian, we recommend you bookmark or write down the Russian months of the year listed on this page. If you want to improve your Russian vocabulary farther, start learning Russian using a professional language learning platform available both as a web-app but also that can be installed on your mobile device. If you are traveling to a French speaking country, some of the most basic French phrases you will probably need to learn and pronounce first will be hotel related conversations. 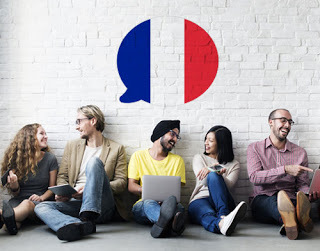 We've gathered and listed 30 useful French sentences any traveler will find useful whether on vacation or a business trip. Do you have a vacant room? Avez-vous une chambre libre ? I have booked a room. J’ai réservé une chambre. I need a single room. J’ai besoin d’une chambre simple. I need a double room. J’ai besoin d’une chambre double. What does the room cost per night? Combien coûte la chambre pour la nuit ? Can I see the room? Puis-je voir la chambre ? Fine, I’ll take the room. Bon, je prends la chambre. Here are the keys. Voici les clefs. Here is my luggage. Voici mes bagages. What time do you serve breakfast? A quelle heure est servi le petit déjeuner ? What time do you serve lunch? A quelle heure est servi le déjeuner ? What time do you serve dinner? A quelle heure est servi le dîner ? The shower isn’t working. La douche ne fonctionne pas. There is no warm water. Il n’y a pas d’eau chaude. Can you get it repaired? Pouvez-vous réparer ça ? There is no telephone in the room. Il n’y a pas de téléphone dans la chambre. There is no TV in the room. Il n’y a pas de télévision dans la chambre. The room has no balcony. La chambre n’a pas de balcon. The room is too noisy. La chambre est trop bruyante. The room is too small. La chambre est trop petite. The room is too dark. La chambre est trop sombre. The heater isn’t working. Le chauffage ne fonctionne pas. The air-conditioning isn’t working. La climatisation ne fonctionne pas. The TV isn’t working. La télévision est cassée. I don’t like that. Ça ne me plaît pas. That’s too expensive. C’est trop cher pour moi. Do you have anything cheaper? Avez-vous quelque chose de moins cher ? Is there a youth hostel nearby? Est-ce qu’il y a une auberge de jeunesse dans les environs ? Is there a bed and breakfast nearby? Est-ce qu’il y a une pension de famille dans les environs ? Is there a restaurant nearby? Est-ce qu’il y a un restaurant dans les environs ? If you are an absolute beginner in learning French, we recommend you bookmark or write down the phrases listed on this page. It may come in as highly useful once you check at your hotel. Prepare for your France trip or vacation now and avoid embarrassing situations at the hotel! One of the essential words in any vocabulary are the months of the year. Together with the days of the week, numbers and the colors make up the building blocks of learning any new language. Learning the months in Italian represent the first steps towards achieving the beginner level. Repeat and practice the translations from English until you assimilate them by heart. These are six months. Questi sono sei mesi. If you are an absolute beginner in learning Italian, we recommend you bookmark or write down the Italian months of the year listed on this page. 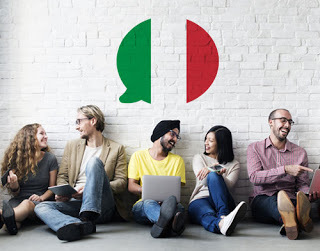 If you want to improve your Italian vocabulary farther, start learning Italian using a professional language learning platform available both as a web-app but also that can be installed on your mobile device.